The British government cannot ask Muslims not to have more than one wife. So said Amra Bone, Britain’s first woman Sharia judge, recently in an interview with the Times. While bigamy is a crime under British law, punishable with seven years in jail, thousands of Muslims in the UK have polygamous marriages that are not registered. The Times reported that 100,000 Muslim couples are living under such unregistered marriages. According to Husain, an increasing number of Muslims born and raised in the UK are leaning towards a literal, fundamental vision of Islam. And many of them are opting for Sharia marriage, bypassing the local registry office. Aside from Islam, the writer notes another reason could be that Muslim couples are not required to equally divide their assets if they divorce, as is the case under British law. And yet another reason could be for an immigrant Muslim to secure residency and nationality in the UK. 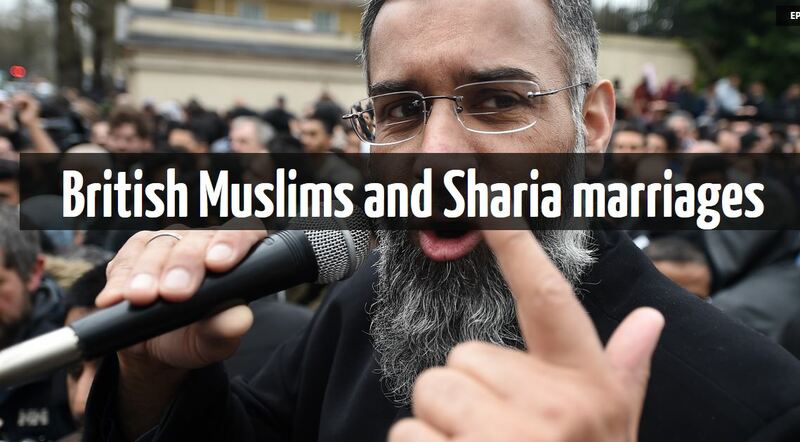 According to Husain, Sharia unions are often arranged matches in which British Muslim girls are married off to young men from remote areas of Pakistan to secure the latter the right to enter Britain. Maar Sean Hannity is één van de weinigen die ‘m goed doorheeft.